Welcome to Life Lines the monthly newsletter to let all of our members, and also our fans who are not yet members of the U.S. Life-Saving Service Heritage Association. Again this newsletter is bringing you information to keep you informed on what is occurring out there. For those of you reading and have yet to join, “What are you waiting for?” The new year will be here and you too can be part of this next exciting year as the organization publishes our station inventory link and our new venture to create a “Surfmens Data Base. If you would like to join please go to http://uslife-savingservice.org/join-donate-support/ and let’s get started. You may not know it but all sorts of interesting lifesaving and life-saving service related news is popping up all over the place and this monthly news stream will provide you those tidbits of information with the link so that you can learn more about those topics of interest to you and the other organizations that are making it all happen. Before the news is provided if you are someone who likes to develop monthly, weekly, or daily blogs and would like to take over as “news editor” of Life Lines please do so at http://uslife-savingservice.org/contact/ and I will be happy to get you started. The process is simple, there is web support, if you can handle a word processing program and know how to clip and paste, and attach web links, then this may be the volunteer opportunity for you. Your email will be added to the board’s list so that you too will be the first to read stories to select for each Life Lines posting. You can set your own schedule, publish as much as you want and as frequently as you wish. The minimum is at least once a month. 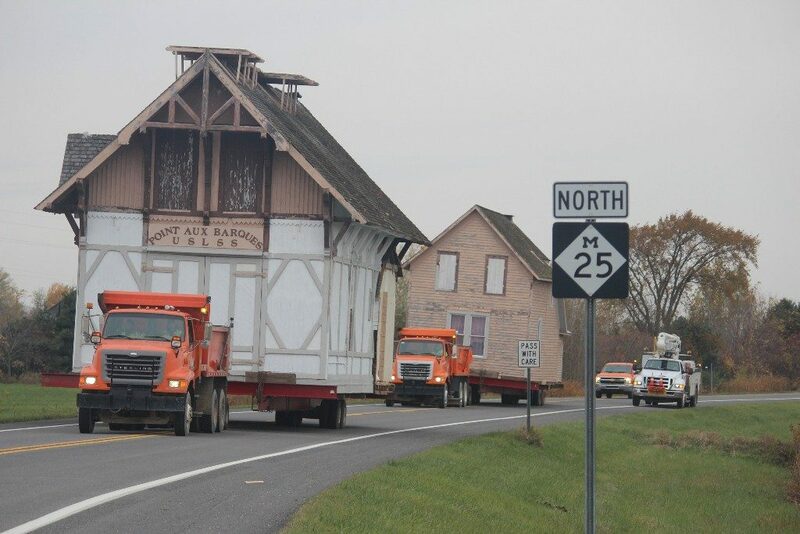 This is the photo that was shared in the November newsletter, the opening photo above shows the station on its way to its new location, which is close to its original location next to the Lighthouse. What a difference just one month makes and how exciting to see this project underway. If you haven’t marked your calendars yet, submitted your leave slip, or cancelled all of your previous plans, the Annual Meeting is already scheduled and being planned for October 2018. The Annual Conference of the United States Life-Saving Service Heritage Association will be held in the Cape Hatteras-Kitty Hawk-Manteo area of North Carolina from Thursday, October 11 through Saturday, October 13, 2018. 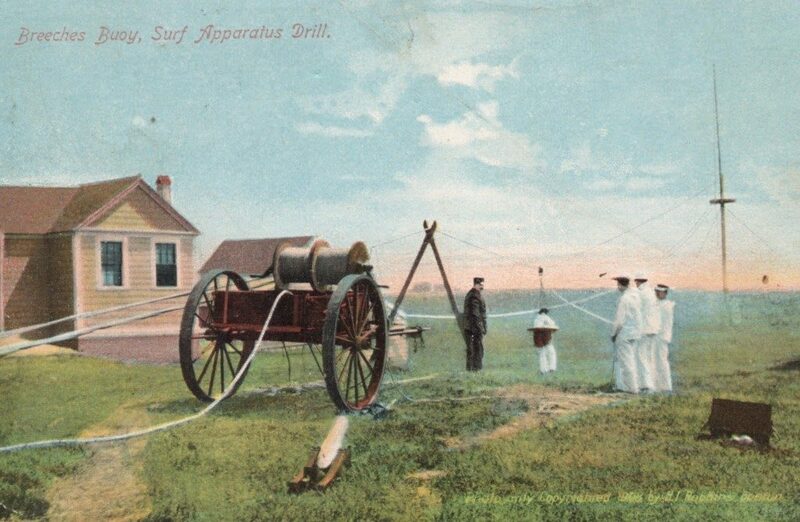 A Breeches Buoy demonstration at the Chicamacomico Life-Saving Station is planned, as well as tours of the Wright Brothers National Memorial, Little Kinnakeet Life-Saving Station and Cape Hatteras Lighthouse. We’ll visit the Graveyard of the Atlantic Museum, Pea Island Cookhouse, Roanoke Island Festival Park, Fort Raleigh and other sites. Watch the website and future Life Lines for more information. If you are a member you received a notice in your inbox. If you are not a member, “What are you waiting for?” Be the first to get the news. Here is the place again to sign up as a new member http://uslife-savingservice.org/become-a-member/ so it will be easy for you to join. 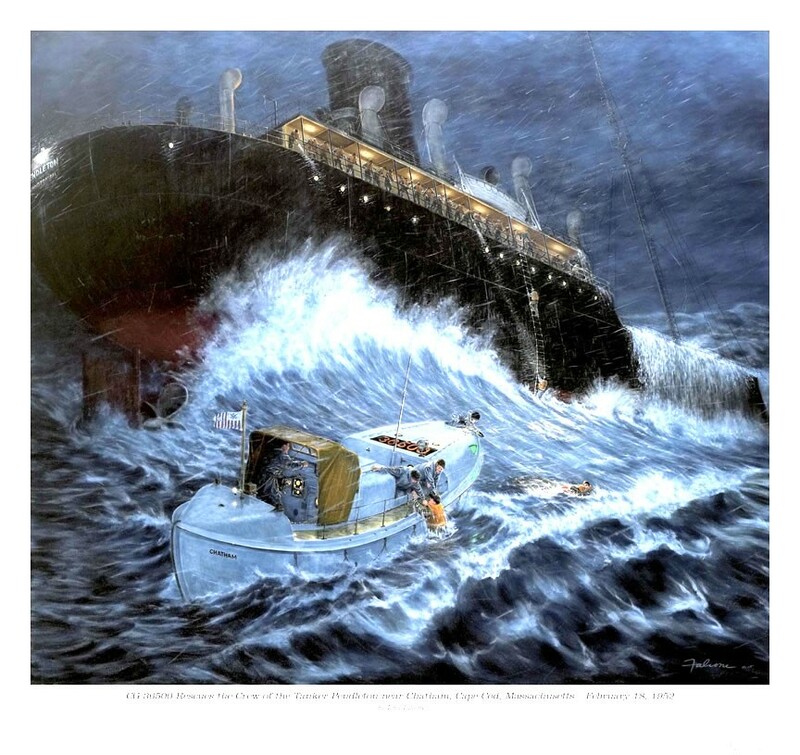 These U.S. Coast Guard Murals are available to purchase. Please check out the following websites to see the catalogue and if interested in purchasing these for yourself. Also consider becoming a Life Lines editor or even co-editor. If you wanted to have a role or contribute to the organization this is your opportunity to do so.